When Google+ heavyweights such as Los Angeles-based actor Wil Wheaton, with more than 1.3 million followers, were overwhelmed with Google+ Events spam, they didn’t keep quiet about it. Google+ power users took to their walls to say they were unhappy with the new social invite feature. 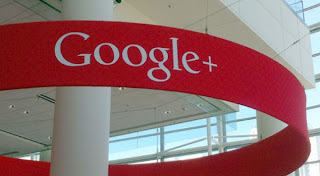 Google+ Events officially launched Wednesday at the Google I/O conference. Members with huge followings were inundated with calendar invites. Wheaton noticed the new feature right away. “My feed is completely overwhelmed with ‘everyone’s invited to XXXXX event’ notices, and I’m having a hard time actually seeing posts from people I’m following,” he wrote. Google+’s most popular were seeing hundreds of invitations in their social streams and hundreds of events were automatically added into their Google Calendars. Users found events corresponding to Google+ Events showing up in their calendars, despite not having confirmed attendance. We are doing exactly what you requested. We should have contemplated and anticipated how people would abuse this and how painful this could be for celebrities with large followings. We have pushed a number of fixes yesterday (some were bug fixes that showed up at scale). Expect more fixes today. Sorry for the trouble Will. Gundotra also clarified whose invites Google+ users will be seeing. Google+ created Events as an Facebook Invites or Evite alternative. Events allows Google+ users to gather all messages, photos and videos taken and shared before, during and after an event into one place. Its creators describe it as a “new way to get together.” Google+ users can invite their friends to an event. Those who attend can funnel their pictures and videos into one shared place. Will you give Google+ Events a try, or are you sticking with another invite service?